When the ocean gets rough it’s best to take cover here in the North East but with the new year and the new you and what not your boy NARC.’s got you covered with a selection of some of the best eats, spots and dining experiences across the North East – the perfect remedy to a festive hangover and that new diet you’re trying out. From the ultimate vegan burger in Heaton, to crab sandwiches in Newton, amazing authentic Italian in the heart of the Toon or the best damn Sunday dinner you’ll ever eat in the heart of Teesside – hide from the cold and fill your boots in these ten brilliant food spots across the North East. To begin with let’s look North of North to the Northumberland coastline; The Ship Inn is an established spot for locals in the know that serves locally sourced hand picked crab sandwiches to be eaten whilst looking out over the beaches. Perfect for dog walkers looking to do something special on the weekend, it’s hugely affordable and sustaining a fantastic local business to boot. Tuck yourself away with a hot tea and some great tuck and enjoy the beauty of the Northumberland Coastline. For those who want to enjoy beaches and fresh fish without having to trek up the coast however, give your time to Riley’s Fish Shack in King Edward’s Bay. The canny shipping container restaurant is a unique culinary experience and those seeking to broaden their horizons and try something new couldn’t do better than grabbing Wood Roast Cod on Puy Lentils in a box in front of the fire pits on an idyllic North East winter night – just make sure to bring a coat and keep an eye on the tide as this spot is on the beach and operates around the elements! If you’re in Newcastle for the day and wanting to try some good home cooking mix it up and head to Little Italy in the Grainger Market. My absolute favourite place to eat in the city, you don’t get much more authentic than the Italian run, Italian restaurant with real Italian dishes made of important Italian ingredients. You can grab to go, sit for the full works or snack lite in the historic Grainger Market – I’ll be biased and recommend the Rocco Sandwich which slams the door in the face of any cheap mass produced nasty ready meal sandwich you might get in faceless supermarket. For those wanting to stay out the city centre though head to Heaton where you can take your pick from the amazing Starks Kitchen and its constantly changing, always brilliant artisan menu, veggie favourite the Sky Apple Cafe home of the aforementioned ultimate vegan burger or if you’re looking to put on your new shirt and take the better half somewhere special; Seared Tuna and House Martini’s in Lost and Found aka Newcastle’s best kept culinary secret. Fear not foodies south of the Tyne though as there’s top nosh to be found on the Wear and Tees also. 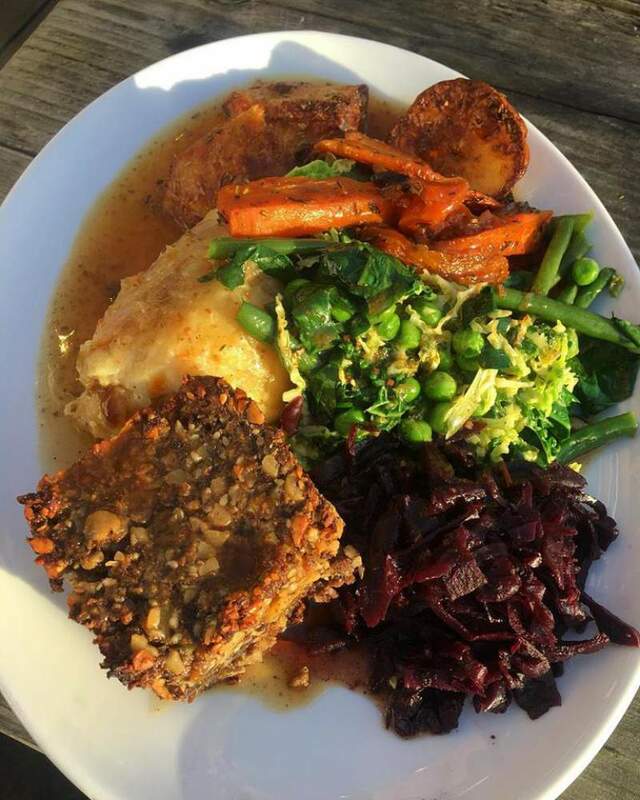 Sunday Lunch in Middlesbrough’s The Curing House is one of those ‘ultimate eating experiences’ where you consume your body weight in delicious huge plates of often locally sourced food. Porcini Mushroom Risotto for the veggies or Smoked Belly Bacon and Homemade Black Pudding for the carnivores – whatever you want, The Curing House has got you covered in droves. For those in Sunderland head over to Sunniside to Angelo’s for Seafood Linguine inside a beautiful grade II listed venue. If a bottle of wine, taster menus and fine dining is your thing make the culinary pilgrimage to Durham and check out the also beautifully house DH1 which offers an ever changing selection of fantastic gourmet eats and if all this sounds like too much hard work and you just want a quiet afternoon with the best pub grub head to the award winning Bay Horse in Darlington. These are just ten of the countless excellent eateries across the North East to kick start your year of good eating across the region. Bon appétit!